These stylish and affordable pocket business card holders feature a clip design that closes to hold the cards inside the sturdy steel case. 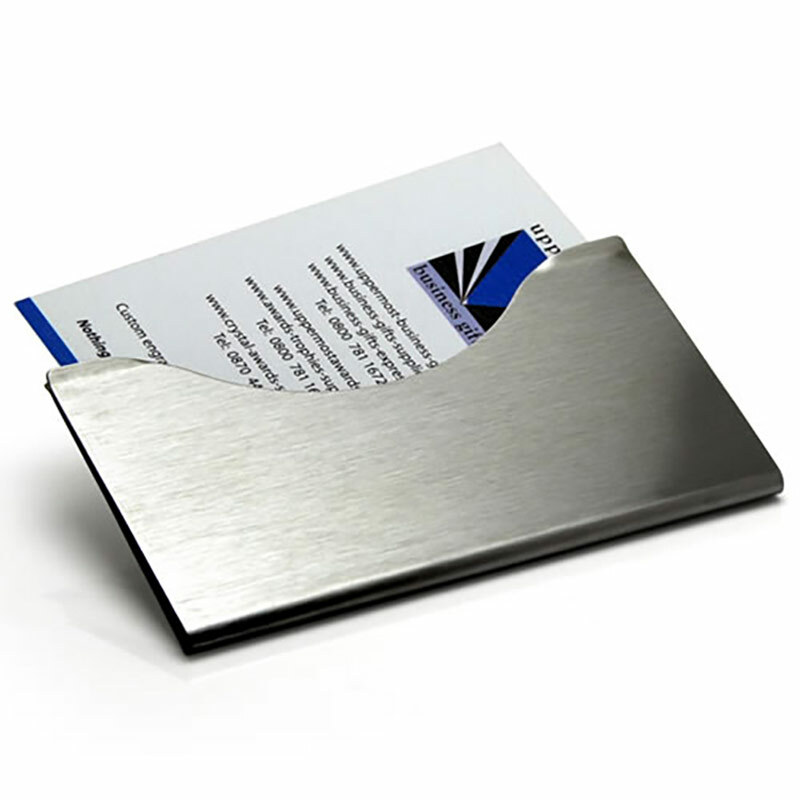 A gently curved lip allows you to easily open the two sides of the case to release your business cards when required. The cases have a brushed stainless steel finish which is both elegant and durable. It is ideal for engraving, and these business card clips are offered with free text and logo engraving. We also offer bulk order discounts (see price matrix, above), low fixed cost UK delivery and fast turnaround on orders. For orders over 100, use the Request Quote link (above) to get a custom price.